Wondering where to go in Croatia? 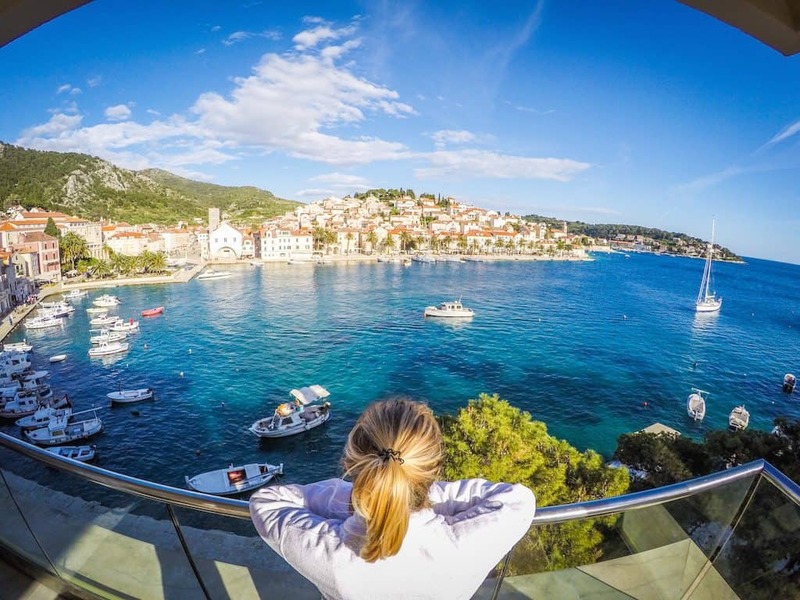 Croatia continues to pop up on more traveler’s radars as a hot destination. The medieval walled coastal cities are backdrops to popular TV Series and movies, while the region of Istria could be confused with Tuscany with its artisan products and hilltop towns. When I first visited Croatia back in 2013, I thought of it as an unheard of destination and to most Americans it was, but when I visited I learned of its longtime popularity with the Slavs, Italians, and Germans. In recent years, the secret appears to have gotten out to the rest of the world. When we returned in 2016 we found Americans gallivanting around every corner, and English being spoken in even the most remote of places. Croatia is no longer “off the beaten path,” and is moving on towards becoming a touristic juggernaut. Almost everyone knows the small city of Dubrovnik, and Croatia became a member of the EU in 2013. We were able to spend five weeks in Croatia and embarked on the ultimate road trip to find the best of what the country has to offer during all seasons and help answer the question of where to go in Croatia. Many Croatian vacations may start and end in the capital city. While the city has no major attractions like the Eiffel Tower or the Colosseum, it hums with a certain energy that can’t be found anywhere else in the Balkans. Zagreb is surprisingly trendy, houses a large university population, and is an interesting blend of communist era buildings, pedestrians streets, and medieval architecture. Although this city is often overlooked, I have found that Zagreb is one of my favorite capital cities in Europe, and perhaps it is why I find myself coming back. 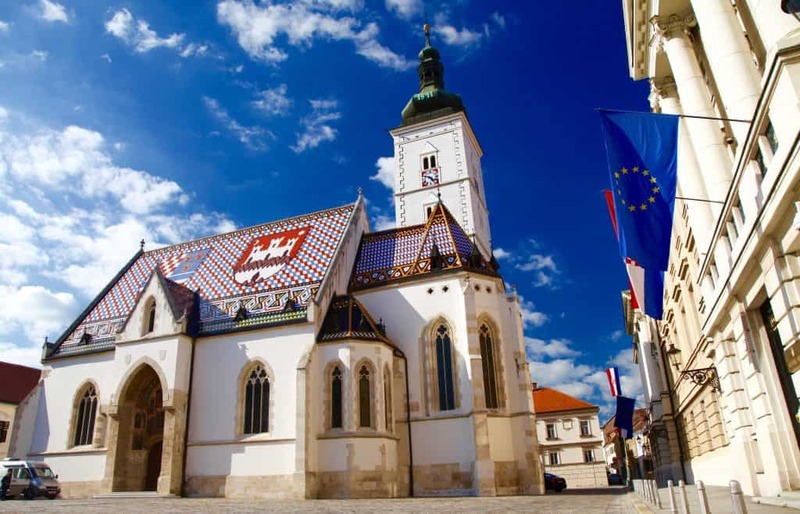 There are so many things to do and see in the Croatian capital that any visitor is sure to be entertained. Even if it’s December and you’re wondering where to go in Croatia in the dead of European winter, then Zagreb’s the city. To get between Zagreb’s upper and lower towns take a ride on the Zagreb Funicular. This tram is one of the steepest in the world and only cost 10 HRK for a ride. A great view of Zagreb awaits you at the top. If you would rather get some exercise in you can also climb the stairs to the side of the Funicular and be met with a beautiful park. We spent a quiet afternoon there watching the city. If you find yourself in Zagreb on a rainy day then head to this museum located in Zagreb’s Upper Town. The name says it all, this is a museum dedicated to broken relationships. The building is filled with trinkets and loved possessions that were donated by real people who found themselves in a “broken relationship.” However, the appeal doesn’t lie in the objects themselves, but instead in reading the hundreds of stories told by their former owners. Allow at least an hour to read all the sad, funny, and quirky stories there. All the softies should make sure to bring a box of tissues for the heartaches. Just north of Trg Bana Jelačića is a daily fruit and vegetable market. Dolac market is a lively place to observe, eat like a local, and support local business owners. Almost every city in Europe has its own form of a market, and it’s often a great way to get the feel of a city. Dolac Market operates Mon-Fri from 6.30am-3pm, Sat to 2pm, Sun to 1pm. If you have just an hour free in Zagreb’s city center then make sure to take the funicular up to the upper town and see St. Marks Church. Sure, it may just be another European church but after seeing the roof I couldn’t help but feel impressed by this detailed craftsmanship. Did you forget your bikini? Go shopping in this metropolis before you head south to Dalmatia. Zagreb is a shoppers paradise. Here you will find all the name brand stores that you may be missing from your home country. Where to have a coffee in Zagreb? Velvet cafe is a quiet cafe that is perfect for meet-ups, evening drinks, or to get some quality reading in. The cafe interior looks like the inside of the castle in Beauty and the Beast, and is one of the only cafes in Zagreb that is non-smoking. Located near the end of Dežmanova ul. Where to stay in Zagreb, Croatia? Istria is the northwestern triangle shaped region of Croatia that is bordered by Italy and Slovenia. This peninsula has been under rule by the Venetians, Romans, Byzantines, Austro-Hungarians, Italians, and Yugoslavians – making it truly diverse in history and culture. Italian and German speakers will also have an easier time here since both languages are very widely spoken in the area. Many people come to Croatia, head to Dalmatia and go home – don’t make that mistake! It’s a mighty hard decision to pick the most beautiful city in Croatia, but I think Rovinj might just take the cake. And should certainly be a top choice when you are wondering where to go in Croatia. The colorful city may as well be a cousin to the Cinque Terre in Italy, and makes Dubrovnik look a plain Jane. Visitors should immediately head to the old town of Rovinj, which is small and walkable. The Church of St. Euphemia is also worth visiting and is free to the public, although the real charm is strolling through the cobbled alleyways and enjoying the ambiance and local stores around. Make sure to Have a coffee at Brasserie Adriatic for great views and to feel posh at affordable prices. “Town of the Truffles.” At least that’s what I want to call Motovun. Here you can find truffle oil, truffle butter, truffle ice-cream, truffle cheese, truffle pasta, truffle alcohol, and truffle MANIA. Wherever you walk in Motovun you will hear some sort of talk of truffles, and trying them in the town should not be missed. The forests surrounding Motovun are covered in pedunculate oak, abundant in continental Croatia, which makes for some of the best hosts for white truffles. There are many local operators that will even take visitors truffle hunting through the forests for about €50. We loved walking around the small medieval fortress on top of the steep hill and stopping can stop for a glass of local wine on tap (6-9 HRK) while gazing over the Mirna valley. There is also great biking and hiking trails around Motovun, and even paragliding for the fearless. One absolutely must eat at Konoba Mondo for an unforgettable truffle experience. The restaurant is small, quaint, and was frequented by my favorite foodie, Anthony Bourdain. Prices are affordable and the food is exceptional. 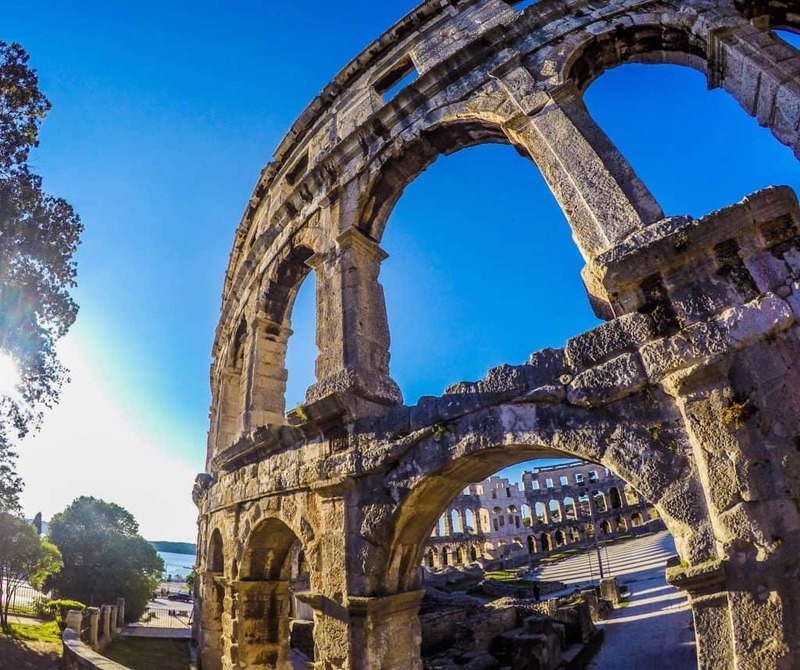 Well known for the ancient ruins scattered all around the city, Pula is much trendier than the rest of Istria. The main sight here is the Roman amphitheater which is the 6th largest surviving amphitheater in the world. Visitors can walk around the outside to get picture perfect photos, or pay 55 HRK to explore inside the circle like the Romans once did. The main square is built on the old ancient Roman forum and it is here that you will find the Temple of August from the first century. Needless to say, if history is your thing then you should definitely head to Pula while in Croatia. About a 10-minute drive from Pula is her quiet sister, Fažana. We came here not knowing what to expect on our way to see the amphitheater and ended up staying for a few hours to soak up the sun. 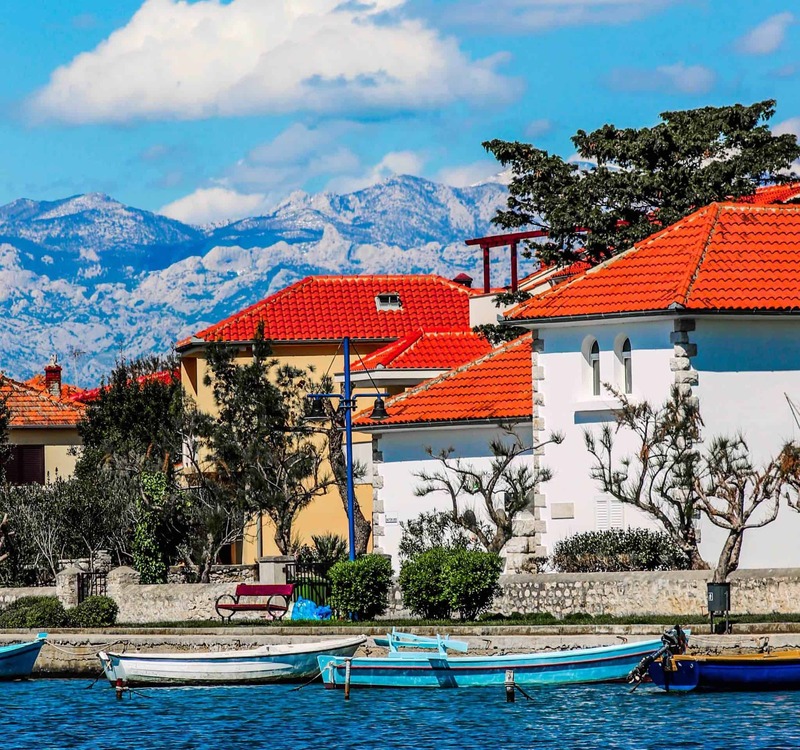 Fažana has beautiful pebble beaches complete with a colorful town square and numerous waterfront restaurants serving up fresh seafood. Fažana is also the jumping off point to get to the Brijuni islands. We traveled to Bale in mid-May and were pleasantly surprised not to find a soul around. We had a great time strolling through the old quiet streets that were filled with bright pink and red rose bushes in full bloom. Bale is a tiny town, but it does have plenty of hiking and cycling trails located right outside the main square. Be sure to have a coffee at Kamene Priče for excellent cappuccinos, eclectic decor, and if you’re lucky a live jazz show. 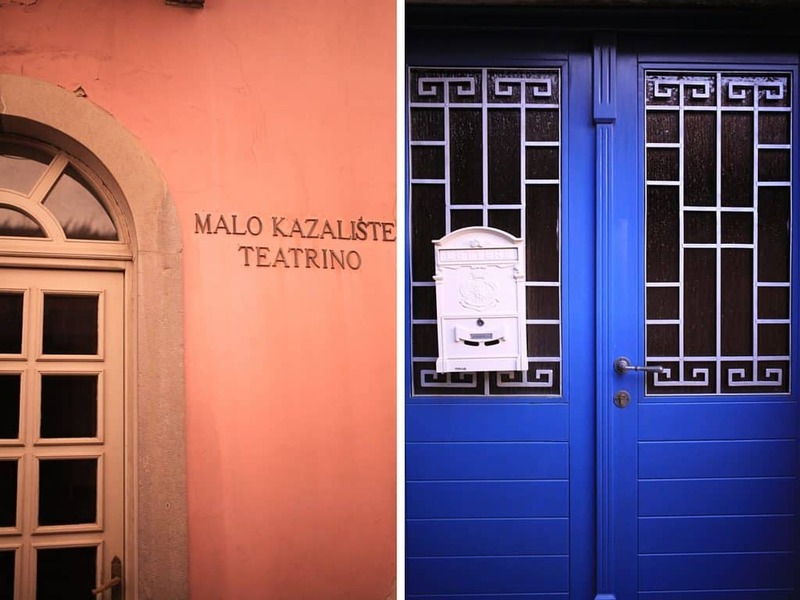 On the east coast of the Istrian peninsula lies the colorful town of Labin. We stopped here on our way out of Istria for the day and instantly fell in love with the sleepy town. Labin is by far the most colorful place we visited in Istria with each old building painted in different hues of blue, yellow, pink and orange. We spent about an hour just taking photos of all the pretty doors! Don’t forget to bring your camera. You will want it for the vibrant colors of Labin! Airbnb’s are prevalent in the Istria region. We loved staying at our Airbnb in Istria, which was located right in the countryside. Our hosts brought us fresh eggs, homemade wine, and famous Istrian treats every day. Personal touches like these are why we totally recommend using Airbnb in Istria. You can check out some tips and read more about getting an Airbnb coupon code here. Or just take this coupon for your first stay! Note: I highly recommend renting a car if you plan to travel Istria. Almost everywhere in Istria can be reached within an hour, so having a rental car gives you the option to sleep anywhere in the region. It’s always nice to travel at your own pace and not have to rely on buses. With a car, you can visit three or four little towns a day. 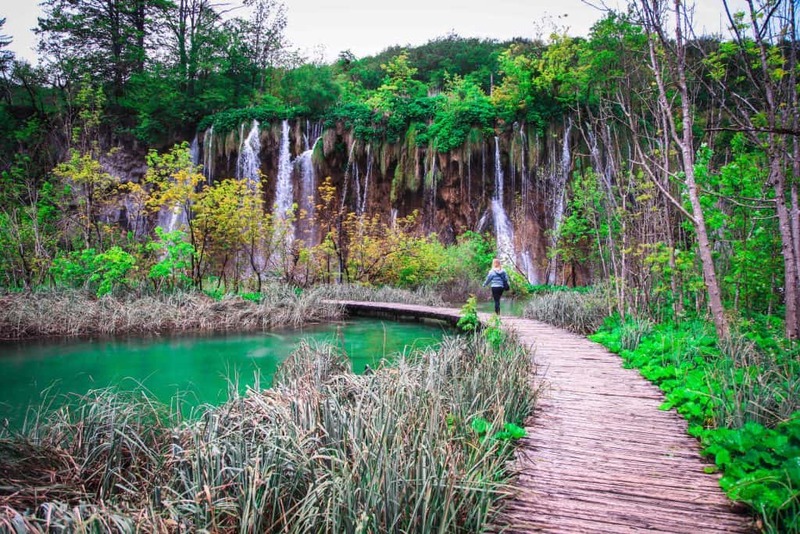 Plitvice Lakes National Park is sure to be high on anyone’s itinerary when traveling through Croatia. The park’s lakes are stunning and something you must see before you die. 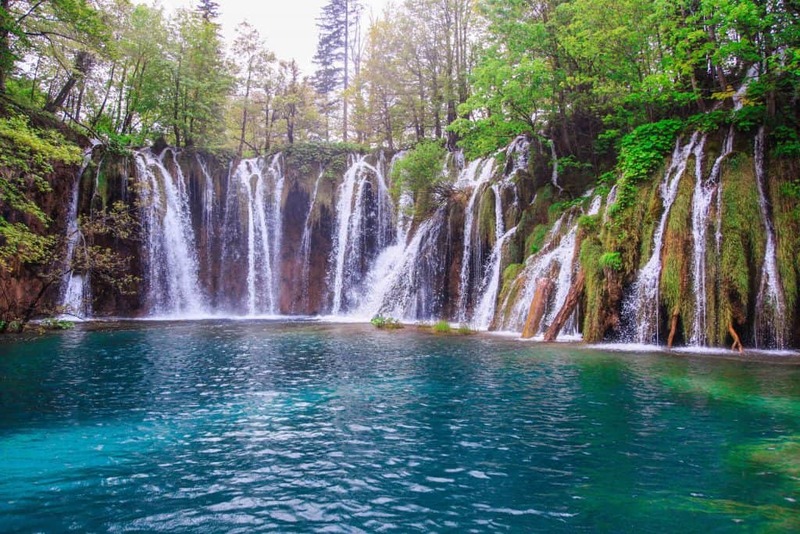 The national park, Plitvice Lakes National Park, is the largest of Croatia’s national parks and has been a UNESCO World Heritage site since 1979. The park is easily accessible from Zagreb, Zadar, and Split. With the abundance of accessible routes, there is absolutely no reason to not make a day out to the park while in Croatia. Plitvice Lakes are unlike any other place we’ve been to on earth. This is due to the phenomenon of karst hydrography. A unique example of geology in which limestone and dolomite have eroded over time into the water creating underwater tunnels and channels. The result is a set of 16 lakes at various elevations cascading down in turquoise waterfalls. The park is a series of endless elevated paths, thick moody forests, rare glimpses of wildlife and of course the unreal geography. Seriously, photos do not do this place justice. As mentioned, there are 16 lakes in total that fall from many magnificent waterfalls to create a breathtaking natural formation. The park is huge and we recommend a full day to experience all that it has to offer. Rain or shine the park and the lakes are always stunning. The park is open year round and admission prices vary depending on the season. [Check up to date prices here] If you are not big on walking around all the day there are shuttles and ferry boats to take you around the park, but it should be noted that the best views require some walking. We suggest wearing comfortable shoes, bringing a camera (and a case – water is everywhere) and carrying a water bottle. Bonus, if you bring a LifeStraw Go water bottle you can fill your bottle up with some of the lakes fresh water. When dry land doesn’t suit your fancy, hop in a kayak and see the lakes from a different point of view. There are a few companies like Raftrek that organize full day tours for less than 300 HRK! We couldn’t believe how beautiful Croatia was from the water when we went sea-kayaking in Split and whitewater rafting down the Cetina River. 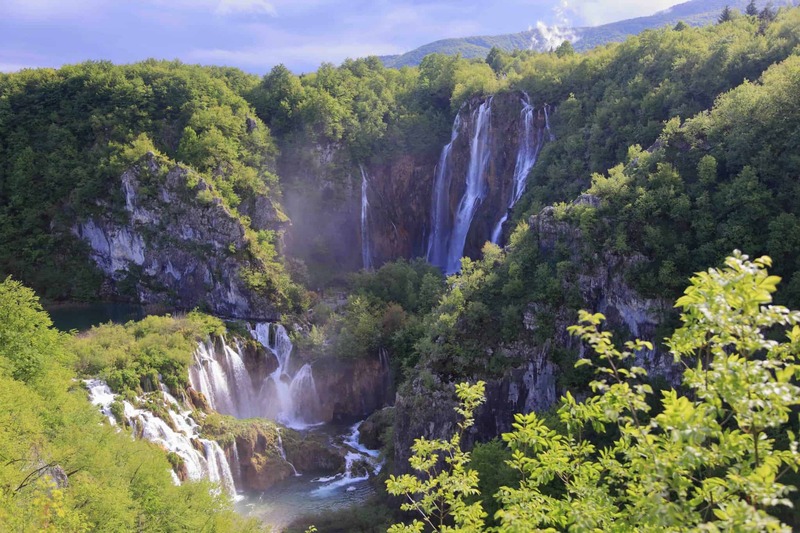 There are plenty of great hikes around this beautiful region of Croatia. The hike up Plješevica Mountain reveals lush forests with a moderate to intense climb. For an easier trek take the afternoon and catch a sunset on Mrsinj Grad. The hike through Plješevica Mountain takes a full day; however, the hike up to Mrsinj Grad leads through an old fortress and only takes about three hours. Falling Lakes Hostel can organize a trip any day to either of these locations. Where to grab a bite to eat? There aren’t a ton of options for food near Plitvice Lakes so prepare to put on a cooking apron. However, we found that Restoran Degenija is about a 10-minute drive from the parks and is popular for traditional Croatian food and pizza! Thanks to Ryan Air, the past five years have brought an influx of budget backpackers to Zadar, turning this Dalmatian city into a party town. Be warned, that is not the only reason one should travel to this lovely city by sea. 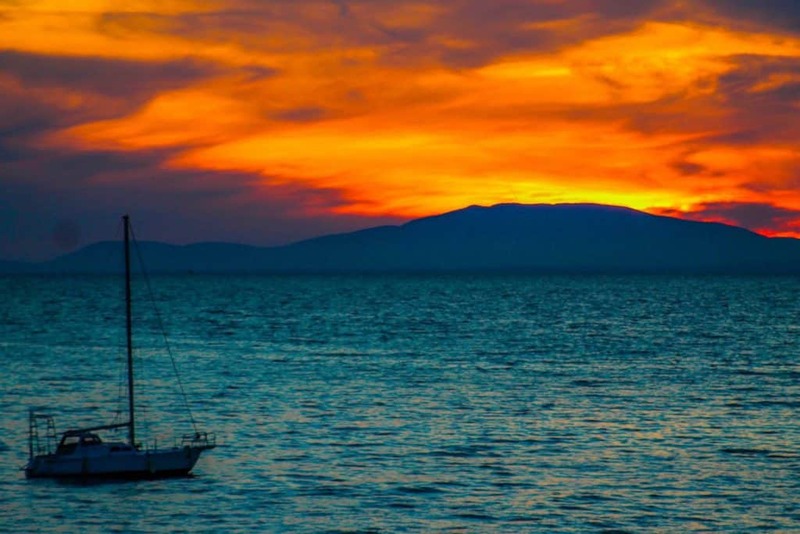 For starters, Zadar is the biggest city of north-central Dalmatia and has a rich history. It was voted the Best European Destination for 2016 and even Alfred Hitchcock himself said that you can find the “best sunset in the world here.” There are tons of amazing things to keep visitors occupied throughout all times of the year. It wouldn’t be a Croatian city without an Old Town. The old town here is much smaller than in Split, but larger than Hvar. Nevertheless, it is easily walkable. Exploring the old town will take at least half a day as there is an abundance of ruins, churches, and cafes to occupy time. People’s Square, Narodni Trg, is the central meeting point in the old town and has been since the Renaissance era. It’s been said that sitting at a cafe in the center of town is the “hip” thing one can do. My favorite cafe bar was “Sveti Lovre” literally set inside the well-preserved church of St. Lawrence. How many times have you ordered a latte inside a pre-Romanesque church? Or take a coffee to go and stroll around the Roman Ruins located right next to the Church of St. Donatus. For €2, you can gallivant into this old Church and marvel at the architecture that is now used for concerts and galas throughout the year. The Greeting to the Sun and the Sea Organ are two things that should not be missed in Zadar. Located at the end of the Old Town facing Northwest is the Greeting to the Sun, a giant 22-meter wide circle made up of three hundred multi-layered glass plates. The glass plates are solar powered and at night, the giant circle comes life to produce a spectacular and colorful light show. While this spectacle of lights is happening, you can hear sounds of the nearby Sea Organ creating a splendid atmosphere to celebrate the end of the day. The Sea Organ is exactly what you think, a musical instrument in the sea. Throughout the entire day, the organ plays music from the tubes located underneath a set of steps by way of the constant waves of the Mediterranean. Where to go in Croatia for a little tranquility and skin therapy? About 20 km away from Zadar, is the alluring town of Nin. Take the 30-minute local bus (17 HRK) to get there for a day trip just outside of Zadar. The town is charming and well known for its production of salt. However, the draw in our opinion are the medicinal thermal mud baths. Walk along the long and sandy Queens Beach and you will come to a more foraged part of water. There is no mistaking that you will know you are at the magical mud baths when you arrive. Don’t think – just jump in and slather yourself in the mud of Nin. For optimal results, let the mud dry on your body for 30 minutes, rinse and repeat. You may smell like a bag of farts, but your skin will thank you! Zadar is well-connected with a solid ferry system. Any day is a good day to take the ferry over to the island of Ugljan. The ferry will bring you into the town of Preko, and a walk along the coast will eventually bring you to the trail leading up to St. Michael Fort. The hike up is fairly easy, and takes about an hour, but the views over the neighboring islands are stunning. Don’t forget a bottle of wine, some dinner, and a travel buddy to enjoy the spectacular sunset. Where to grab a beer in Zadar? Hands down the best place to grab a cold beer are at Tequila Sunrise, located on Punta Bajlo Beach. Here you will find a great selection of beers, seats to gaze into the sea, and a cliff perfect to dive into the cool waters below on a hot day. The island of Pag is one of those places that you don’t find until you’re in Croatia and someone brings it up. Thinking you need some party time and don’t know where to go in Croatia? The main town on Pag, Novalja, is known for primarily one thing – partying. However, there are other great activities asides from drinking your liver into despair. Needless to say, the shoulder season is the preferred visiting time in our opinion. You can enjoy things like the natural beauty, colorful sunsets, and general quietness of the island. Visitors will be a bit shocked when visiting Pag to find it is not lush like the island of Hvar. This is due to the strong winds and salt that is sprayed by Bora, killing almost any vegetation on the island. There is a certain beauty in the island’s natural rugged terrain. To get better acquainted with the island, try hiring a moped for the day to get around. Renting a moped allows one to see the small towns on the island and catch stunning vistas of the crystal clear waters. Petrol is fairly inexpensive in Croatia and a one-day moped rental will run you approximately 150 HRK in the off season and 250 HRK in June-August. Anyone making the effort to reach Pag has to try the cheese. The cheese is made from sheep’s milk, is hard, distinctly flavored, and is nationally revered. Before you dig in to try this amazing cheese it should be noted that the cheese gets better with age. 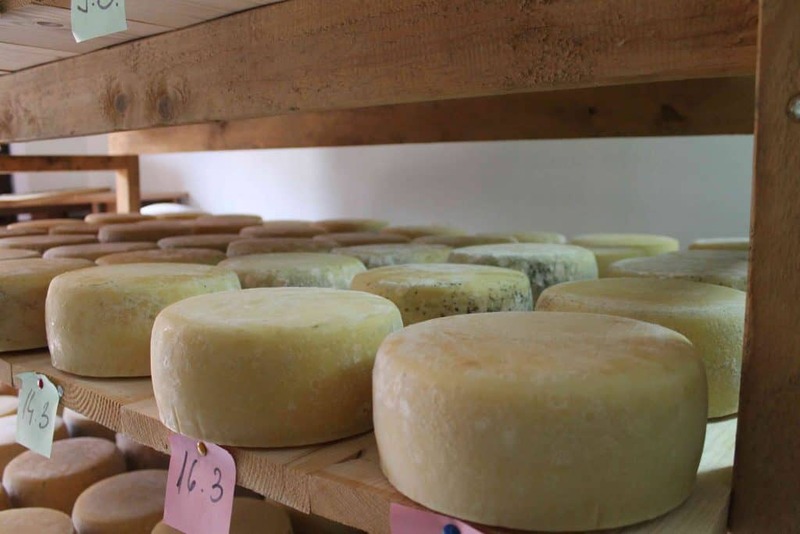 We were able to visit Vidas, a local family producer, who produces and sells the world renowned Pag cheese. What is the secret behind the distinct flavors? Pag Bora. Or a strong, cool, dry wind on the island that carries the dry salt dust over from the nearby Velebit mountains. The free roaming sheep eat the salt while grazing, this salt carries over to their milk, the milk is used to produce the cheese, humans eat the cheese…you get the picture. Where to party in Croatia? Zrće Beach is a long stone beach that draws the attentions of thousands of partygoers each year. The beach is lined with clubs, bars, tattoo stands, and even a bungee jump operating until all hours of the night in the summer months. You cannot mention the island Pag and avoid Zrće. Even though Zrće has been named one of the best party places in Europe and has been nicknamed “The Croatian Ibiza,” the water is still crystal blue and it is still a great place to go relax during the day time. Stara Novalja is an old town (literally translating to “Old Novalja”) with a long sand beach and small town. Even though it was April I enjoyed lounging about here and making new friends while digging my toes in the Croatian sand. Where to have a coffee in Novalja? My favorite spot to grab a cappuccino and have some peace and quiet was at Valis. Located on the town square, this cafe has three levels and is decorated in all pastel purple (i.e. my idea of heaven). Where to stay in Novalja? Many travelers on a tour of Croatia will probably stop off in the coastal city of Split, for good reason too. After Zagreb, Split is the second largest city in Croatia and is conveniently located in the center of Dalmatia between Zadar and Dubrovnik. The city makes for a great jumping off point for those heading to the island of Hvar. Split is beaming with coastal energy and from the moment you step off the bus, train, or ferry you will feel energized. Roaming past the waterfront cafes on the smooth cobbled streets seems like a great way to pass the day in Split. The capital of Dalmatia is the perfect place to soak up that laid back Balkan cafe scene by the water and chill out for a few days. This ancient palace was built by the Roman emperor Diocletian and now makes up more than half of the old town in Split. It would be almost impossible to avoid seeing the beautiful palace while visiting. Diocletian’s Palace was also a filming location for the fourth season of Game of Thrones, acting as Daenerys’ throne room in Mereen for all you fans out there. We felt that just a wander around was enough to appreciate the sheer size of the palace. The star of Diocletian’s Palace is actually the basement where the best-preserved parts of the palace. Bacvice beach is by far the most popular beach in Split. The Dalmatian coast does not have many sandy beaches, but Bacvice offers you soft a sandy retreat and calm waters to relax. The cafes are perfect to sit, enjoy a cappuccino, and people watch the day away. 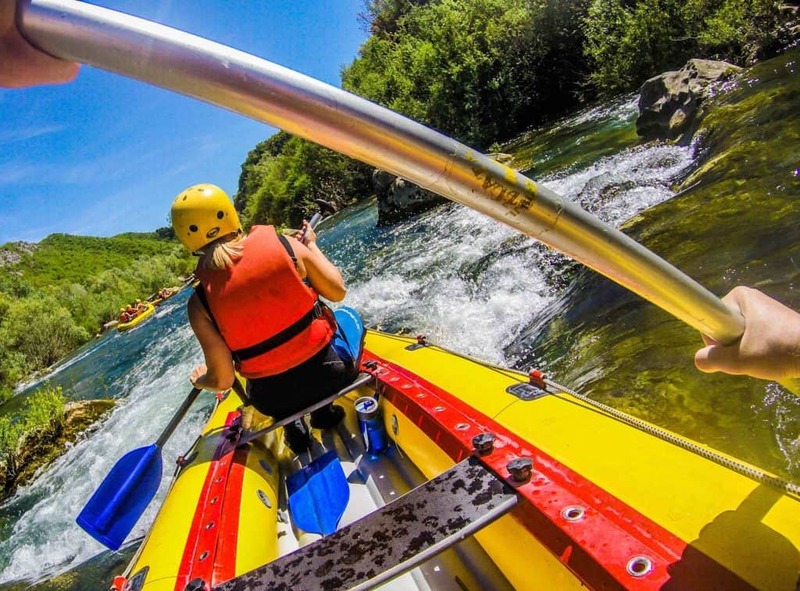 Besides strolling around Split you can also enjoy some of the area’s best outdoor activities. Try your hand at kayaking in the beautiful blue water, go mountain biking, hiking, rock-climbing, canyoning, diving, or go rafting for a day. You didn’t just come to Croatia to sit around, did you? FIFE Buffet is one of the places to go for seafood at affordable prices in the area. The restaurant features indoor seating for those cold Mediterranean nights, as well as an outdoor patio overlooking the harbor. Portions are big for European standards so bring a dinner buddy to split with if you are not a big eater. Tipping around 10% is common in Croatia, so make sure to factor that into your meal prices. We found fresh ingredients, affordable prices, and take away options at Toto’s Burger Bar. Located about 100m from Fife. If you’re wondering where to go in Croatia on for a luxurious holiday, then Hvar is your answer. A 2-hour ferry ride away from Split lies the sunny island of Hvar. Hvar is very well known for almost all tourist from those on massive private yachts to newlyweds, families, and the young coming for a party. Hvar is beautiful year round and even promotes itself as “the sunniest spot in Europe.” With over 2715 hours of sunlight in an average year, Hvar has some very tan locals and some of the countries best wine. Peak season is July and August, and you can look at the sky high prices to confirm that. We recommend going in April or September when the weather is warm, but tourists are scarce. The island provides some of the best adventure and outdoor activities in the region. There are many different trails and hikes around the island ranging from easy to difficult. Some very popular excursions include kayaking around the Pakleni islands and rock climbing. 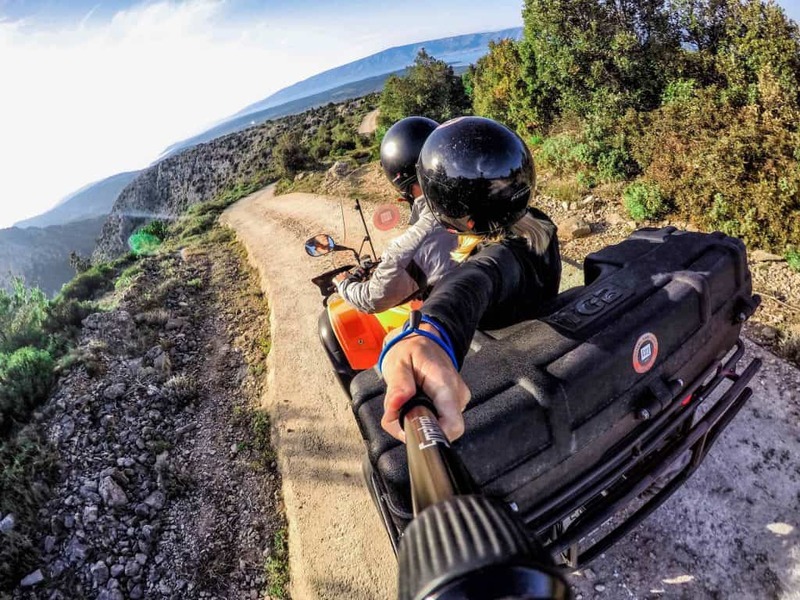 One of the highlights of our time in Hvar was renting a powerful ATV and exploring the whole island on our own schedule! Roads go from paved to dirt, and sometimes you are literally right on the cliff overlooking your death – but we lived! 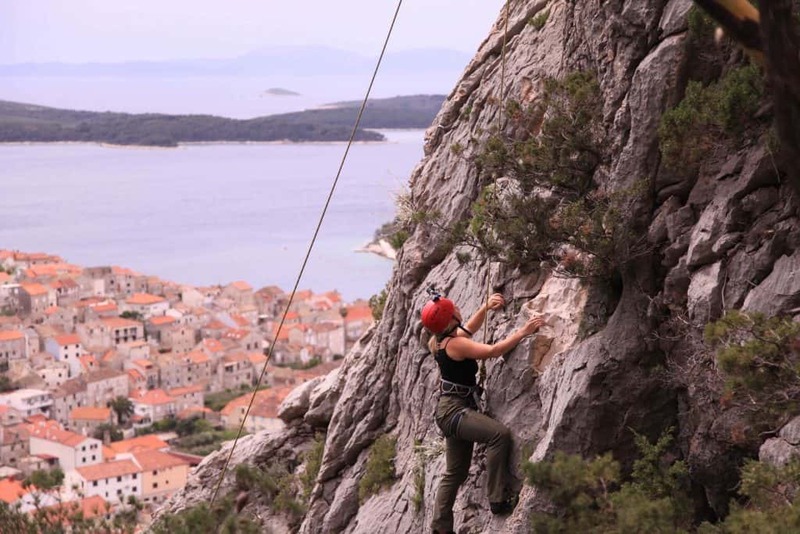 If you really want to make the most out of your time and see Hvar, Jelsa, Stari Grad, and all that is in between we recommend carving out a whole day for the adventure. For fish lovers like us, we can not recommend Gariful enough. There are many seafood restaurants on the island, but we were informed that Gariful is one of the best by locals, and we were not disappointed. Sit outside on the deck to catch the ambiance of the harbor and enjoy the sound of the waves while drinking some of the island’s best wine and grubbing out on the delectable octopus. Where to catch some zzz’s in Hvar? In this day and age of travel, I don’t think Dubrovnik needs an introduction. Young and old come from near and far to visit the tip of Croatia. Dubrovnik is Croatia’s crown jewel and is nicknamed the “Pearl of the Adriatic.” Personally, Dubrovnik is a bit overrated and has been sipping too much Game of Thrones kool-aid, but that’s for another time. It’s true, the walled city is beautiful, clean, and transports you back in time. Here you can walk on the old city walls between 08:00 and 17:30 for 100 HRK. Despite the high cost, if you came all the way to Dubrovnik then walking these walls for an hour or more is well worth the money. Inside the old town, you can also visit Roland’s Column, the Bell Tower, and many other historic sites; however, the best thing to do is stroll around and enjoy the atmosphere. Beware as the tourist rise in the summer months, so do the prices. Do shopping outside the walls for the best bargains on virtually anything. Grab your flip flops and new bikini and hit up Banje Beach. In the summer season, a chair and umbrella will cost you, but lying on the pebbles is free! As with most of the beaches in Croatia the water here is a stunning mix of turquoise and baby blue. Enjoy! I feel like I am obligated to include this since Cameron is such a die hard fan. This walking tour takes you through film sets and real life attractions featured on the hit HBO series. Where to have a meal in Dubrovnik? Pantarul is a great place to enjoy a nice meal out. The restaurant serves up Farm to table freshness and has an extensive Croatian wine list. Where to catch a nap in Dubrovnik? Croatia has an extensive bus network that can get you almost anywhere in the country. Check BusCroatia for up to date times. We found that renting a car gave us the most flexibility and actually worked out cheaper for people traveling in pairs. We always book our cars through Auto Europe and generally try to go with SiXT when available. We met a lot of travelers who only packed summer clothes and were surprised to find out that Croatia can actually get quite chilly! Temperatures in Zagreb can drop to 0°C and can get as low as 5°C in Dubrovnik. Do your research before you go and know the temperatures. Here is what I packed for Europe. The Croatians do not refer to Croatia as Croatia. Once in the country, you will quickly find out that they call their homeland Hrvatska. Although Croatia is in Southeastern Europe and is outside the Eurozone, it is still not that cheap. We would put it on par with Slovenia and Greece. We’ve been told that this was done in preparation to join the Euro, but we’re no financial experts. The Kuna is the national currency, although Euros are widely accepted. You may have heard of Croatia from the brutal Yugoslav wars back in the 90’s. Although, there are landmines still abundant in non-visited and marked areas, the country is not dangerous. I repeat, the country…along with the rest of the Balkans are not dangerous. It pains me that people still question safety in this area of Europe, I mean the locals might be in danger of lung cancer, but tourists in danger? No, unless you count secondhand smoke. The Dalmation Dog actually is traced back to the Dalmatia region. Unfortunately, we never saw one in the area. Zagreb is very well connected by train with Ljubljana, Vienna, Budapest, and Prague. From Dubrovnik, consider heading South to Kotor, Montenegro or East to Bosnia & Herzegovina. The Istria region is a hop, skip, and a jump away from Italy. There are buses running to Trieste and even ferries sailing from Rovinj to Venice. Surprise! Ryan Air has taken over some of the Croatian cities and has made traveling to and from the country even more accessible and affordable. Check Skyscanner now for prices. or to feel more at home in Croatia try Airbnb. Here is a coupon for your first stay! Flights: Skyscanner is a comparison website that searches millions of flights. Once you find your best deal, book directly through the airline (no extra fees). Water: We found the water tasty to drink from the taps. For extra assurance though we always recommend a Lifestraw Go Waterbottle.